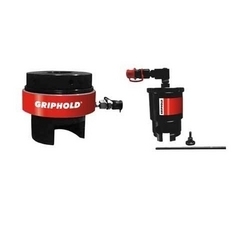 Griphold ranks among the top brands of Hydraulic Tools & Equipments are available in the market. And with over one and half decades of excellence, we have carved a niche for ourselves in the global market. 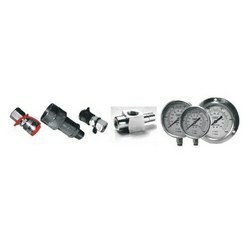 Today, we offer the complete range of technologically advanced industrial hydraulic tools and equipment at industry leading prices. Moreover, our heavy duty tools and equipment are not only robust and compact in design but are easy to handle and require minimum maintenance. 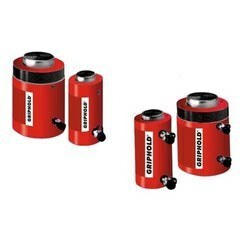 Whether it is required for Oil & Gas Exploration, Heavy Engineering Industries, Petrochemicals, Mining or Chemicals & Fertilizers etc, we offer the complete range of precision engineered hydraulic tools and equipment that include Hydraulic Cylinders/Jacks, Steel Bottle Jacks, Aluminum Hydraulic Cylinders / Jacks, Hydraulic Pin Pusher, Flange Spreaders/Wedge Jacks, Self - Centering Pullers, Hydraulic Hand Pumps, Portable Hydraulic Cranes, Industrial Presses, Bearing Fitting Tools, Hydraulic Bolt Tensioner Device, Air Hydraulic Foot Pumps and more. We offer precision engineered High Tonnage Hydraulic Cylinders for heavy duty operations in diverse industries. Today, we have carved a niche for ourselves in the global market by offering technologically advanced industrial hydraulic cylinders at industry leading prices. Moreover, our heavy duty tools and equipment are not only robust and compact in design but are easy to handle and require minimum maintenance. 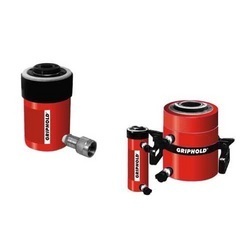 “Griphold” is a name to reckon with when it comes to Hollow Plunger Hydraulic Cylinders and with an experienced team of qualified design engineers, we have developed a new series of technologically advanced Hollow Plunger Hydraulic Cylinders, which are available in different stroke and load capacity range. We offer especially designed Hydraulic Bolt Tensioner Device, which are the first choice of users from diverse industries. We offer the complete range of precision engineered Hydraulic Bolt Tension-er Device, which are designed for accuracy and ease of operation besides being energy efficient. 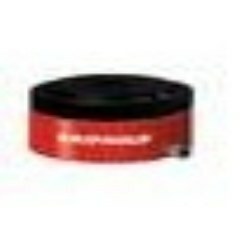 In addition, we can also offer customized tools and equipment as per the required specifications. We offer especially designed Portable Hydraulic Cranes, which are the first choice of user industries owing to their light weight and compact design. 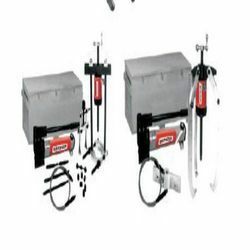 Moreover the entire series of our Portable Hydraulic Cranes are fold-able type to save space for storage. Available from 500 to 2000 kg capacity. 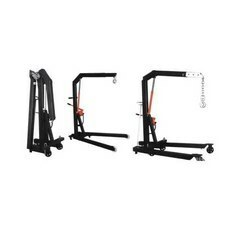 Useful for lifting and shifting of material inside plant areas. All accessories are useful for high pressure applications, starts from 700 bar to 1500 bar working pressure. We offer precision engineered Pancake Lock Nut Cylinders, which are especially designed for higher levels of accuracy, enhanced efficiency and ease of operation. Made of superior quality materials, the complete range of technologically advanced pancake lock nut cylinders are available at industry leading prices. Moreover, our heavy duty tools and equipment are not only robust and compact in design but are easy to handle and require minimum maintenance. The High Pressure Hydraulic Hoses are specifically made for the high pressure equipments like Jack, Splitters, Pullers and Tensioners. 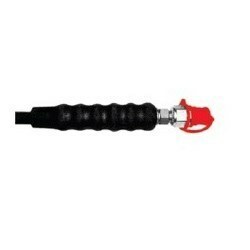 The high pressure hoses are with different end fittings, Couplings as per customers requirements. 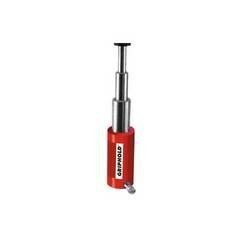 Available in different working pressures from 700 bar to 3200 bar depending on pump and equipments. We offer superior quality Telescopic Cylinders, which are designed for greater precision and enhanced efficiency. Different variants of this series of telescopic cylinders are available at most reasonable prices, while we also undertake orders for modifications and customization as per the specific requirements. 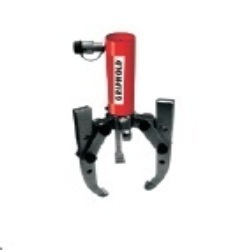 Looking for Hydraulic Tools & Equipment ?